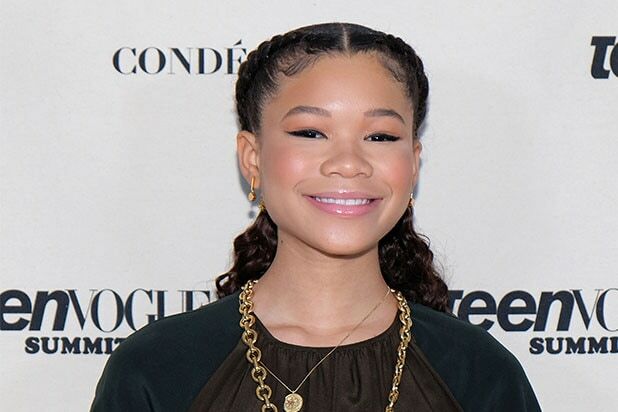 Storm Reid The 15-year-old actress starred in Ava DuVernay's "A Wrinkle in Time" and, quite frankly, stole the show. Overall, the film disappointed critics, but many praised Reid's performance as Meg Murray. She is currently filming DuVernay's TV mini series "Central Park Five." Zazie Beetz Zazie Beetz has a multitude of credits to her name, including "Easy" and "Atlanta," but 2018 was really Beetz's time to shine. She starred as the badass heroine Domino in "Deadpool 2" and as Angie in the Sundance movie "Dead Pigs." She also has a promising year ahead, starring in films like "The Joker" and "Pale Blue Dot." Elsie Fisher Fisher has had roles in 2013's "Despicable Me 2" and the TV series "Raising Hope," but the 15-year-old has been gaining recognition for her role in Bo Burnham's "Eighth Grade," which first premiered at Sundance. At the 2018 Gotham Awards, she won the Breakthrough Actor award for her role. She was also nominated for a Golden Globe Award for her work in the film. Henry Golding Henry Golding's first movie was this year's "Crazy Rich Asians," which catapulted him into stardom. Since then, he's snagged roles opposite Blake Lively in Paul Feig's "A Simple Favor" as well as the director's "Last Christmas," costarring Emilia Clarke. Before his role in "Crazy Rich Asians," he was a Malaysian television host. Letitia Wright The British-Guyanese actress received accolades for her role in the "Black Mirror" episode "Black Museum" last year, but Letitia Wright is now a household name due to her role as Shuri in "Black Panther" and "Avengers: Infinity War." She will next star in the fourth "Avengers" movie as well as "Guava Island." 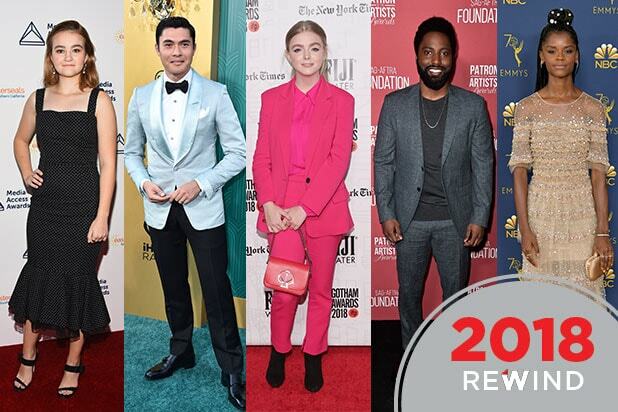 Awkwafina For most "Crazy Rich Asians" fans, Awkwafina's Peik Lin was their favorite character. Not only did she star in a film that became a huge cultural moment for the world, but she also had a role in "Ocean's Eight" alongside some of the most powerful women in Hollywood: mainly, Sandra Bullock, Sarah Paulson and Mindy Kaling. She first dabbled in music and had supporting roles in films like "Neighbors 2." Kiki Layne From starring in "Chicago Med" to several TV movies, Layne has made her mark in Barry Jenkins' "If Beale Street Could Talk," in which she is obviously the breakout. John David Washington Denzel Washington's son had quite a stellar year. Apart from being a recurring character on Dwayne Johnson's HBO series "Ballers," he starred in "Monsters and Men," "Monster," "The Old Man & The Gun" and "BlacKkKlansman," for which he is up for serious awards contention. Most recently, he nabbed a Golden Globe nomination for his role. Millicent Simmonds The 15-year-old actress starred in last year's "Wonderstruck" but this year she had her breakthough moment in John Krasinski's "A Quiet Place," a film that has been thrust into the awards race. She was recently nominated for a Critics Choice Award. Andi Matichak Andi Matichak has had roles here and there, but she became a name when she starred in Blumhouse Productions' "Halloween" sequel opposite Jamie Lee Curtis in October. She will next star in a horror thriller alongside Joel Courtney titled "Replicate." Joe Alwyn Alwyn first starred in "Billy Lynn's Long Halftime Walk" two years ago, but this year should be considered his breakout. Not only did he star in "Operation Finale," but he also starred in three big awards contenders: "The Favourite," "Boy Erased" and "Mary Queen of Scots." Next year, he will star in "Harriet" opposite Janelle Monae and Cynthia Erivo.